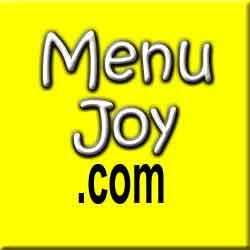 Anyone that reads this Web site knows how much my mother enjoys coffee ice cream. She could probably eat it every day of the week, so it was quite a surprise to me when she told me one day that she would like to try a cup of ginger ice cream from Gray's in Tiverton. Yes - ginger. Are you shocked? Ever since I had a cone of it a few years back, I've been telling Mom to try it - and today she was finally ready. We pulled into the Gray's parking lot at just around 6 p.m.
You can't get near Gray's in the summer. Everyone and their mother come from miles around just to get a taste of this delicious homemade ice cream. Set in a picturesque part of Tiverton (Tiverton Four Corners), the Gray's stand is built into a store which sells various food items. Mom and I have never been inside, but we're assuming that their freezers are filled with ice cream in pints, quarts, and half gallons. The ice cream stand is fairly large, but they don't open all of the ordering windows. Perhaps it controls the crowds better to have them wait in two lines versus three or four. On the side of the store is a fenced in grassy area which several cows call home. Mom and I are still wondering what ever happened to the llamas they used to keep there. Perhaps they were getting too pushy with patrons. You know how llamas can be. When I got to the window, I found myself waiting behind two people that were visiting from Pennsylvania. Apparently they heard how good Gray's ice cream is and just had to see for themselves. 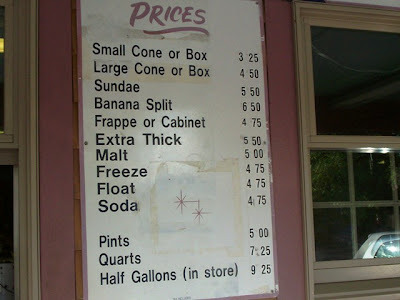 Once it was my turn, I ordered a small cup of ginger for Mom ($3.25) and a small homemade waffle cone of frozen pudding for myself ($4 = 3.25 + .75 for waffle cone). The total came to $7.25. Now, I don't know if it's just me, but I've always found the service at Gray's to be very slow. I'm not sure if it is because there is always a ton of people there, or because the ice cream treats and frappes take long to make, or because the ice cream is just difficult to scoop. However, on this day, I was pleased because I didn't have to wait very long for my desserts. I walked them back to the car so that Mom and I could dig in. Mom was very pleased with her ginger ice cream. She was delightfully surprised to find that disbursed throughout the creamy ginger ice cream were little crystallized ginger pieces. They added a slight crunch to the creamy texture and an intense burst of ginger flavor. It was really delicious, and she was glad that she ventured away from her coffee for one day. Popular in New England, my frozen pudding was fantastic. It was heavily flavored with rum and chock full of candied fruits like raisins, cherries, and pineapples. Having this ice cream in the homemade waffle cone only enhanced the flavor. I even let Mom try a piece of the cone, and we both agreed that it tasted like a warm sugar cookie. It was out of this world. Random funny story: While sitting in the car eating ice cream, Mom and I spotted a little kid walking with her parents toward the ordering window. We both saw it at the same time - her low-hanging diaper. This diaper wasn't just low, it looked full. It looked like she should have been changed hours, maybe even days, ago. Not the kind of thing you want to see when you're getting ice cream. The poor thing was walking as if it weighed about four pounds. Anyway, Mom and I were giggling to ourselves about it when we heard the guy in the next car losing it. I rolled down my window just in time to hear, "It looks like she has 12 pounds of @&!% back there!" I immediately started laughing because the guy was acting like this loaded diaper was personally offending him. He saw me laughing and he and his wife kind of looked over. I said, "Laughing at the diaper?" He replied, "OH MY GOD!" The wife was more sympathetic. I heard her say, "Awww, poor thing." He, on the other hand, was acting like the little kid just walked over and @&!% on his car. It was hysterical. After eating our treats and laughing at someone else's expense, Mom and I headed off into the sunset to do some shopping. 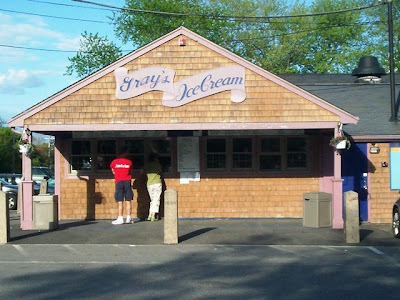 We love Gray's, and it has definitely established itself as one of the best - if not the best - places for homemade ice cream. It is a must visit for any New Englander, or anyone passing through. You will not be disappointed. 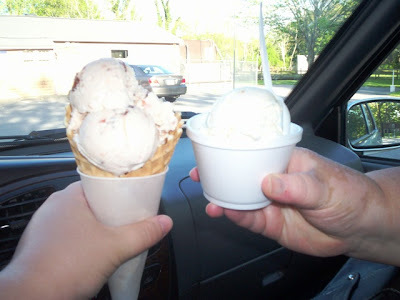 Gray's Ice Cream is open from 6:30 a.m. to 7 p.m. Monday through Saturday, and 6:30 a.m. to 8 p.m. on Sunday.